locomotive. 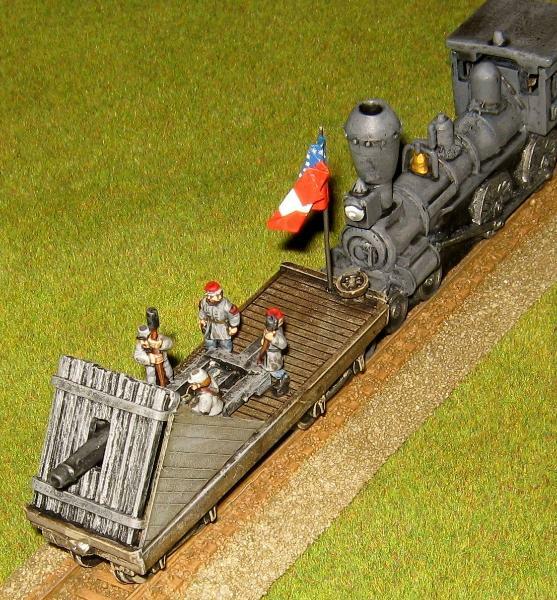 A primitive gun shield was added constructed from sections of cut railway track. 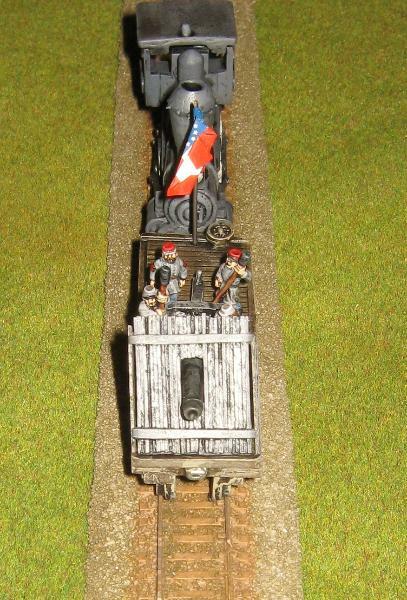 some Peter Pig ACW artillerymen and topped it with a 'Stars and Bars' Confederate flag suitable for 1862.
strip. I added wooden sides, made from more plastic card, as more protection for the crewmen. and field of fire, and was flanked and fired on by the Union 72nd Pennsylvania. artillery. Once it has taken two hits the locomotive retreats off table. It will soon be appearing in anger on my table. 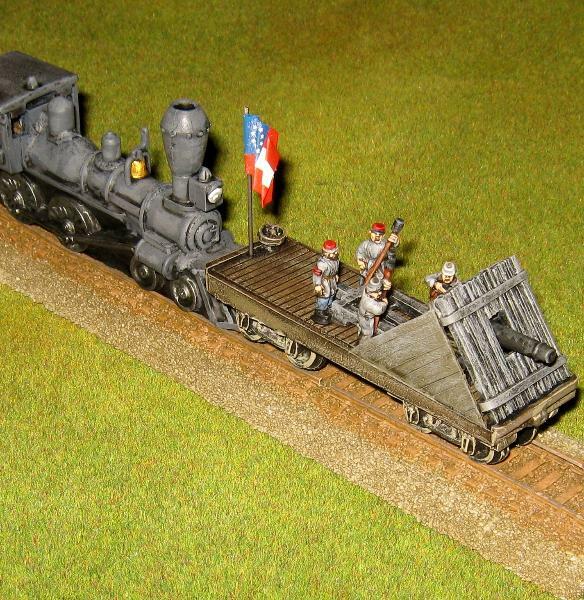 The track by the way is resin from Total System Scenics, also available from Quick Reaction Force.